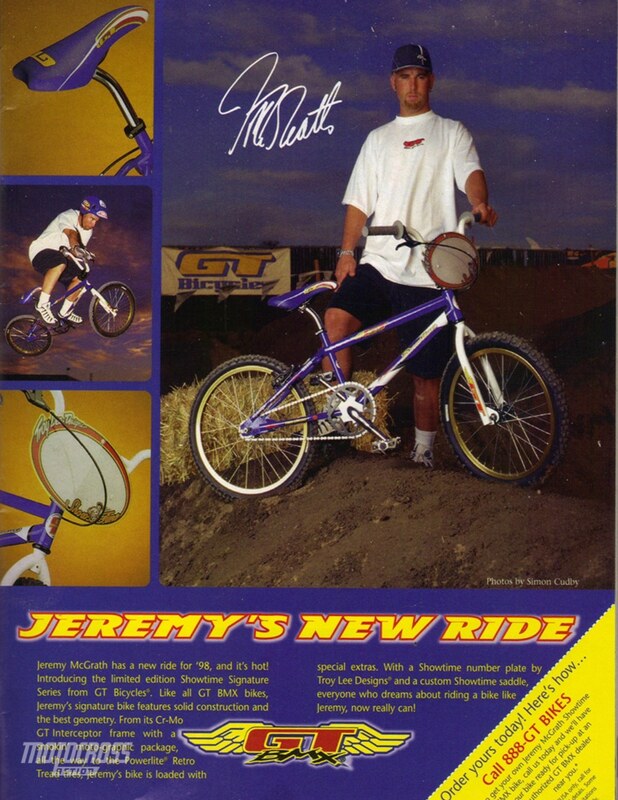 Jeremy Mcgrath got his start riding BMX before he become the King of Supercross. 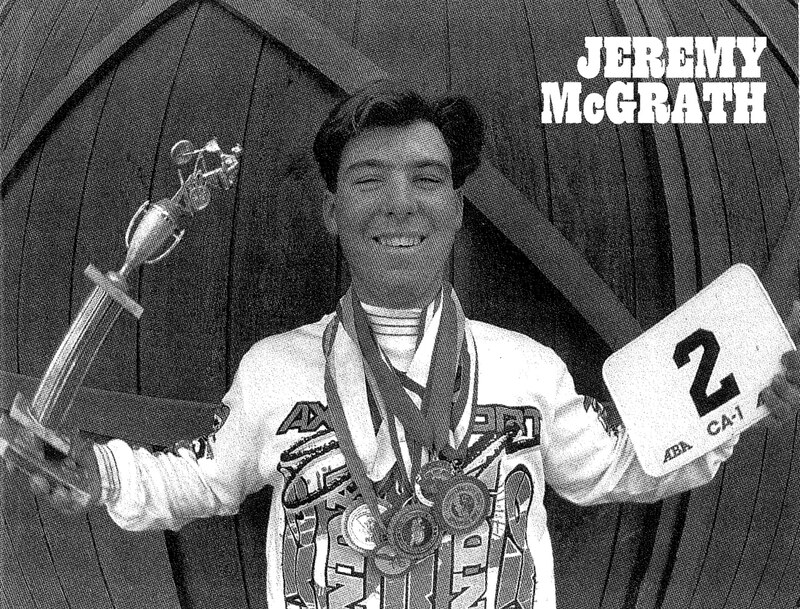 Jeremy McGrath’s first passion on two wheels was BMX. The obsession started at around 10 years old. He immediately had a knack for the sport and started winning races. He something raced 10 races a week. Not soon after Jeremy was winning BMX National events in the expert class. When he was introduced to motocross at 14 he won his first race on a YZ80 and the rest is history. We will let Jeremy tell you more about his BMX journey. Who got you into BMX? Jeremy: A neighbor of mine, this kid Tony, got me into riding BMX bikes. We just thrashed around. Then, after a while, we started racing at Lake Elsinore [California]. The track wasn’t far away and BMX was fun, so we got fully into it. My parents got into it, too. They support­ed me 100 percent. I raced BMX from ’82 to around ’86. How often did you race? Jeremy: I raced a lot! They had eight or ten races a week locally and I’d race almost every one. Altogether, I won about 100 good sized trophies. 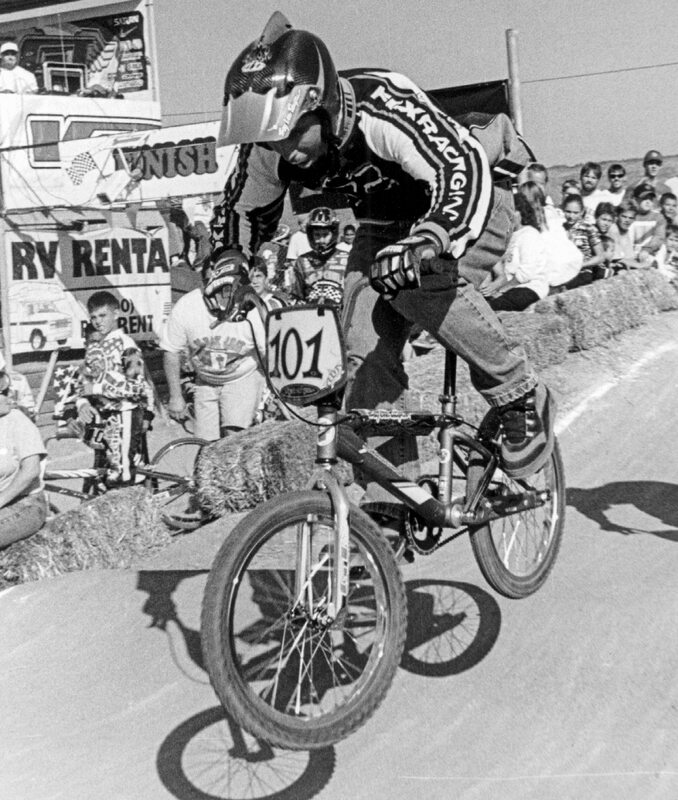 Who was your favorite pro BMX rider back when you raced? Jeremy: He was a wildman, but I liked Ronnie Anderson. He was good on a bike. He would do weird things with his handlebars when he speed-:jumped and he’d always look under one arm down staightaways to see who was behind him. He did things differently­he had his own style, that’s for sure. Jeremy won BMX National events. What was your greatest moment in BMX? Jeremy: Let’s see, I’d have to say it was at an ABA Gold Cup race in San Pedro [CA]. I won 11 Expert both days and beat Sam Arellano, who rode for Raleigh, and Jason Kick, who rode for JMC. I looked up to them because they were fully sponsored; they didn’t even know who I was. That was a cool week­end. I feel my dad put a lot of pressure on me when I raced BMX and he really didn’t want me to quit. After a while there, it was more his sport than mine. Did you race both 20-inch and Cruiser? Jeremy: Yeah, I raced both. I had a Hutch Pro 20-inch and an ELF Cruiser. I liked racing Cruiser better because I was faster in that class. In the NBL I won a few Nationals in Cruiser. That must have been in ’85 because I ranked as National #I8 that year. Altogether, I won about 100 good sized trophies. Jeremy shredding a BMX track. What got you into racing motocross? Jeremy: While I was still fully into BMX, I got a motorcycle for my 14th birthday. It was a Yamaha YZ80 in November of ’85. I rode it for fun and just messed around. My friend Ray Hensley was into BMX, too, but he also raced motocross. He talked my dad into letting me go race my motorcycle at Perris Raceway [Perris, CA) in June of ’86. Everyone thought he was pretty good, but I smoked him my first time out. [laughter) He was mad! 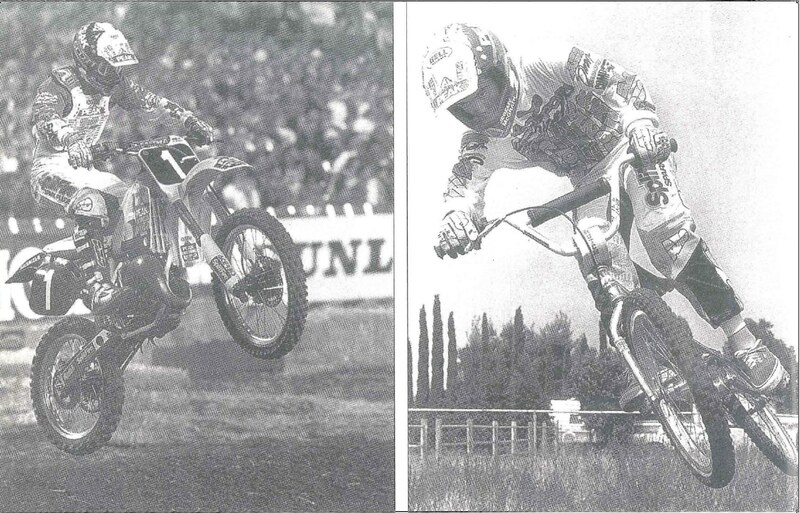 Jeremy still enjoyed riding BMX when he was racing Supercross. He even he GT bikes at a personal sponsor. Did you beat the whole class? Jeremy: Yeah, I won my first race. That’s right around when you made the transi­tion from BMX to motocross, right? Jeremy: Exactly, I was pretty much done with BMX then. I was back to only racing locally. I stayed in mainly because my parents had a trailer that they sold BMX parts out of. They’d haul it to all the tracks. The business was called Country Kids Racing. When I re­tired from BMX, they did, too. I feel my dad put a lot of pressure on me when I raced BMX and he really didn’t want me to quit. After a while there, it was more his sport than mine. We argued about motocross some, but finally I just got totally into it. There was no pressure on me and I did it purely for fun. Then eventually it turned into a job for me.